Antonin Guillot. 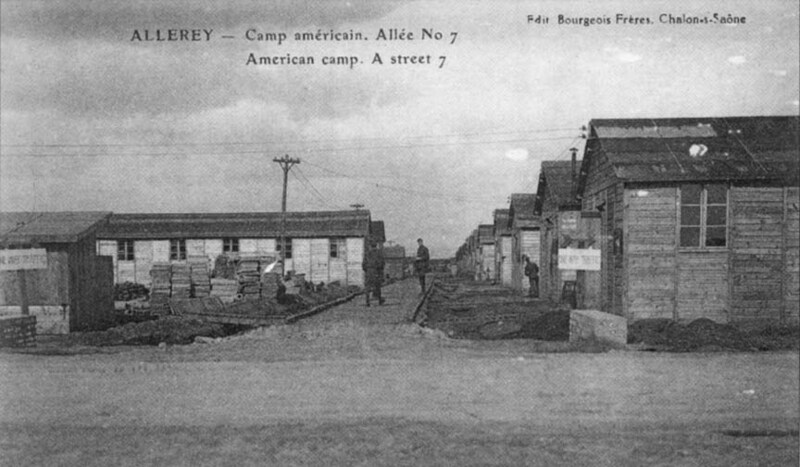 The American Camp at Allerey (1918-1919). 1999. Preface. Foreword. Table of Contents. A.E.F.U. American Expeditionary Forces University, Université de Beaune. November 11, 1918. 80 years have passed since the Armistice put an end to the terrifying catastrophe visited upon France and Europe as World War I. There are all too many names in Allerey, as in thousands of other villages, ---names lined up on the town's monument to the dead, the names of those who gave their lives in this abominable conflict. The memory fades but does not disappear. Once again this year, the local inhabitants, the children in the schools, the veterans, the municipal council have all paid their respects. During this conflict, our American allies decided to install a large hospital-camp in our village. In the soldiers' section at the cemetery, one's attention is drawn by a grave which is different from the others. 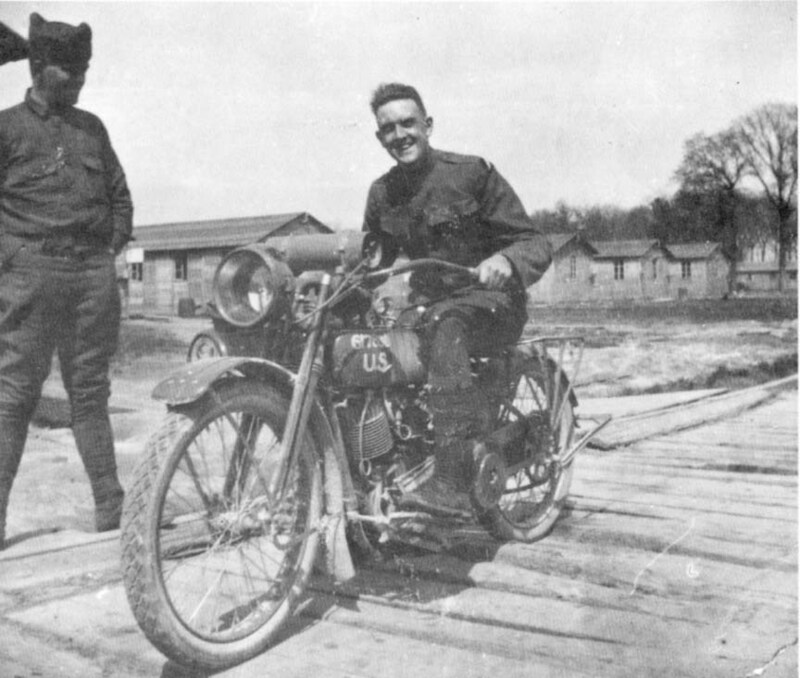 It belongs to a soldier named Burton, dead upon his arrival in Allerey in the train which brought him from the front to the American hospital camp. He was the first American soldier to die in Allerey, having sacrificed his life for the liberation of France. 1919-1999: 80 years that the ephemeral American camp at Allerey is but a vague and distant memory. How many of our compatriots are there who, as children, knew the hospital camp and are still able to tell us about it? What remains of this camp today? A place name on the registry: the camp. A few bridgeheads along the road to Beaune, a few blocks of stone from the American train station platform. And the name of a street, that in fact of the soldier Burton to whom the municipal council has thus paid homage. This is why I would like to thank Mr. Antonin GUILLOT, who was long a schoolteacher in our town, for his effort to help us remember this page of history. In patiently collecting an enormous number of documents and publishing this work devoted to an event of national importance which has marked our village, he has made it so that the younger generations may know and so that the American camp does not completely disappear from memory. Throughout the country, the year 1998 will have been marked by numerous manifestations, publications or exhibitions devoted to the 80th anniversary of the signing of the Armistice of November 11th, 1918, ---an armistice which brought to an end to four years (1914-1918) of a world war in which the countries and peoples of Europe would emerge with an atrocious number of ruins and of millions of dead and wounded. That the killing finally ceased is certainly due to the courage of the combatants in the Allied Forces, French soldiers above all, but also to the economic and military intervention of the United States, in 1917 and 1918, which was decisive in causing the Germans to capitulate. This first world war would deeply affect the cities and towns of our country, both in human terms and economically. In the Verdun region, as elsewhere, the monuments to the dead of 1914-1918 remind us of the sacrifice of those who perished on the battlefields and whose names appear on far too lengthy lists in each community. Who could still today fail to remember such a tragic period of our history? With the ceremonies of November 11th which have taken place in all our cities and towns for eighty years, its memory is maintained, even amongst the younger generations. 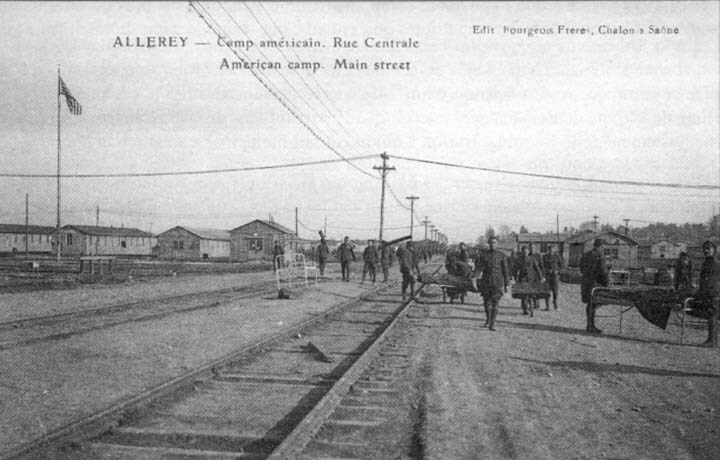 The inhabitants of Allerey still talk about the "camp" or even about the "American camp" (X....left to work in the "camp", Y.... was building in the "American camp")(1). But so few traces remain on the land that it is likely that no one has a very clear idea of what these terms refer to. All the more so as, little by little, the last witnesses of that era have almost entirely disappeared. This is why, in order that the memory of the camp be preserved as accurately as possible, I have been collecting over the last two or three decades documents, objects or testimony from contemporaries of that era, before it was too late, and from which materiel I drew articles for the local press or the bulletin "Trois Rivières" of the Historical Studies Group of Verdun-sur-le-Doubs, as well as for exhibitions in Chalon or Verdun. This research finally resulted in a project and in the putting together and publication of the present work. 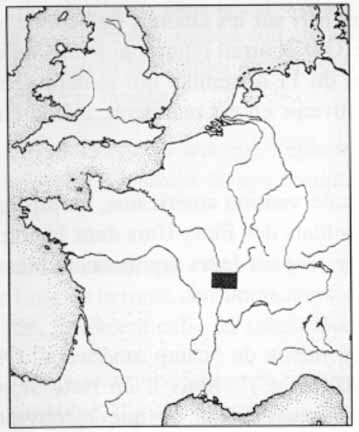 It is not a study which claims to be exhaustive, as was the book of the historian Yves-Henri Nouailhat, "Les Américains à Nantes et Saint-Nazaire, 1917-1919" (1972), but more simply a collection of documents concerning this American presence in Burgundy, somewhat forgotten, eighty years later. It also answers to the need to remember an event which was at the same time local and national. This was done by M. Lucien Perriaux in 1980, for the "Le camp américain de Beaune", installed at the same time that the one in Allerey was, in the form of an illustrated booklet of some thirty pages. In addition to the documents coming from Allerey itself or from the area, I have been able to consult interesting and generally unpublished sources at the B.D.I.C. (Bibliothèque de Documentation Internationale Contemporaine, Université de Paris-Ouest-Nanterre), at the American National Archives in Washington (through an intermediary) and in the archival services of the Val-de-Grâce Hospital, in Paris, with the help of a Parisian correspondant. This made it possible for me to study and present most of the aspects of the story and life of this hospital camp whose existence was short, but which nonetheless left its mark on the collective memory. It was necessary to preserve more than a mark, and that is what I have tried to do in this work, published in the framework of the research work of the Historical Studies Group of Verdun, and which should add yet another stone to the edifice celebrating the rich history of the township of Verdun- sur-le-Doubs.